Routine, planned maintenance on your fire alarm system is essential. Why is fire alarm maintenance so important? Regular servicing of your fire system will ensure that your system has a longer life and results in less downtime. Without regular maintenance of your fire alarm system you may not comply with British Standards, Fire Legislation and your insurance policy requirements. Fire alarms provide the very earliest indication of a fire. They are essential in ensuring staff and visitors can escape from a building in the event of a fire so they are expected to operate correctly in an emergency. We can ensure your fire system is working at it's optimum. Avoid costly disruptions to your business and reduce the risk of false alarms through maintenance. You may risk not being attended by the emergency service if you have a high number of false alarms. 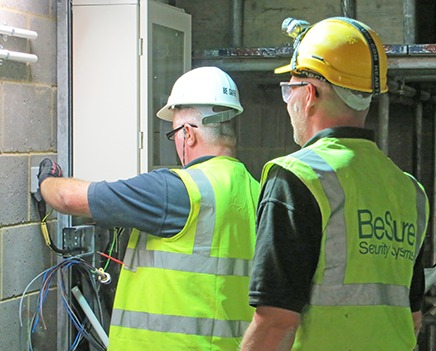 At BeSure we can provide a maintenance contract to ensure that your fire alarm system continues to function and comply with insurance policies.